Chia seeds and milk kefir come together to make a thick rich pudding that requires no heating. This plain pudding makes an excellent base for any number of add ins. Dice up whatever fruit is in season and toss it in for a fresh fruit pudding. Add in a touch of vanilla extract right before eating (¼ -½ teaspoon) for a yummy vanilla pudding. Or just eat it plain and enjoy! Combine the milk kefir, milk and chia seeds in a cup. Cover and let sit overnight until the chia seeds have plumped. Mix in the salt and sugar. Enjoy plain or optionally add fruit. This looks wonderful! Why is additional milk added to recipe? 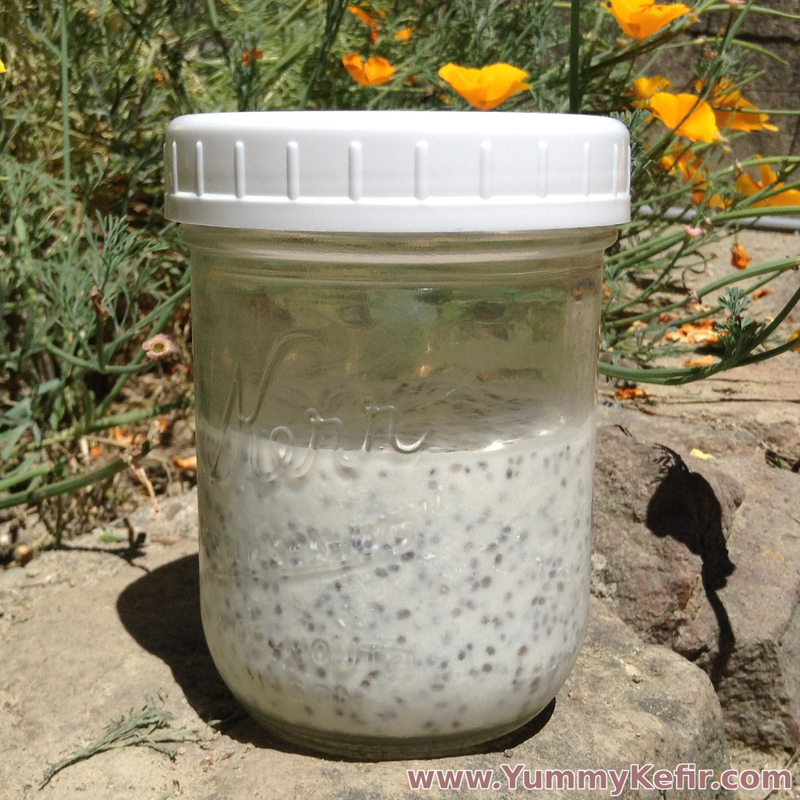 doesn’t the kefir and chia mix “set up” without it? Plain milk is added to make the flavor of the pudding more neutral (since kefir tends to be sour). You can use all kefir if you like or even more milk if your kefir is especially sour. Whatever you prefer.